Chris Broderick and Shawn Drover have quit Megadeth, they’ve announced separately. Guitarist Broderick says he’s left due to “artistic and musical differences” after seven years in Dave Mustaine’s outfit, while drummer Drover reports he wants to pursue other musical interests after a decade-long stint. 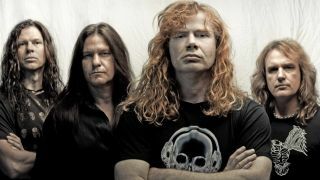 The split leaves Mustaine and co-founding bassist David Ellefson as the only current members of the thrash giants – despite plans to start recording their 15th album in January. No statement has yet been made from the band. The lineup had been stable since Ellefson’s return in 2010. Drover has been the band’s longest-serving of seven drummers, and spend his first four years in the band alongside guitarist brother Glen. Broderick’s service length as guitarist is second only to Marty Friedman’s.